Note: This product does not run standalone. 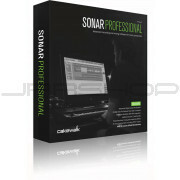 You must already own a compatible version of SONAR with ProChannel to use this product. Many times a sample, loop or other track sounds flat and lacks the dynamics needed to liven up a mix. An Expander can be used to reverse the effects of a compressor or to add further dynamic range to a performance. Now you can add variable volume back into a performance that has been overly compressed or just performed without enough expression. 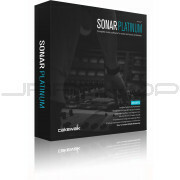 Add life to vocal tracks, put punch back into drums and drum loops and so much more. 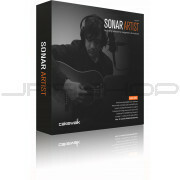 The PC4K SSL-Type Expander / Gate module is not just any Expander plugin. It's based on the legendary vintage-style channel expansion used on large format studio consoles and heard on countless albums over the past 30 years! A gate is a versatile production tool that enhances the quality of your final mixes. Recording an acoustic source, like a drum kit, can be a daunting task. Unless you are recording in a perfect studio environment, chances are there will be some unwanted background between phrases that needs to be eliminated. A gate can be used to automatically “mute” a track when the volume drops below a specific level. So instead of painstakingly editing takes into clips or automating mutes, a gate can remove mic bleed, pedal noise, and other unwanted sounds automatically. 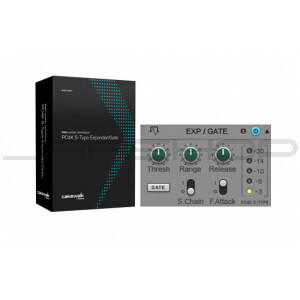 The PC4K SSL-Type Expander / Gate does the work for you so you can concentrate on making music. 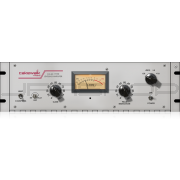 The PC4K SSL-Type Expander / Gate Module is expertly crafted by the Cakewalk DSP team and rounds out our legendary, vintage-style, ProChannel modeling. The PC4K SSL-Type Expander / Gate Module features a classic design providing gate function to remove unwanted sound from a signal and upward expansion, employed by countless engineers to expand the dynamics of vocals and instruments. The PC4K SSL-Type Expander / Gate can be toggled between Gate and Expander mode, has standardized Threshold, Ratio & Range controls, and switches to enable Fast Attack and side chain input. ProChannel Modularity is required to use the PC4K SSL-Type Expander/Gate. SONAR's impressive ProChannel console strip already provide a number of options to get pro-studio sound in the box with its highly musical EQ, PC76 U-Type/classic FET and PC4K SSL-Type bus compressors, tube saturation, and flexible drag & drop routing. Now the ProChannel experience further expands with fully modular capability. ProChannel strips can be customized to have any combination of installed modules available on any channel and favorite combinations can be set as default for tracks and busses.